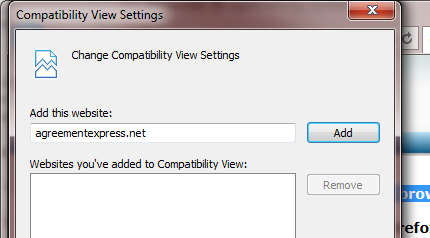 In the top-right of Internet Explorer click on the gear icon and select 'Compatibility View settings' from the dropdown. In the new window, the website address should be auto-populated. Click on 'Add' and then 'Close'. 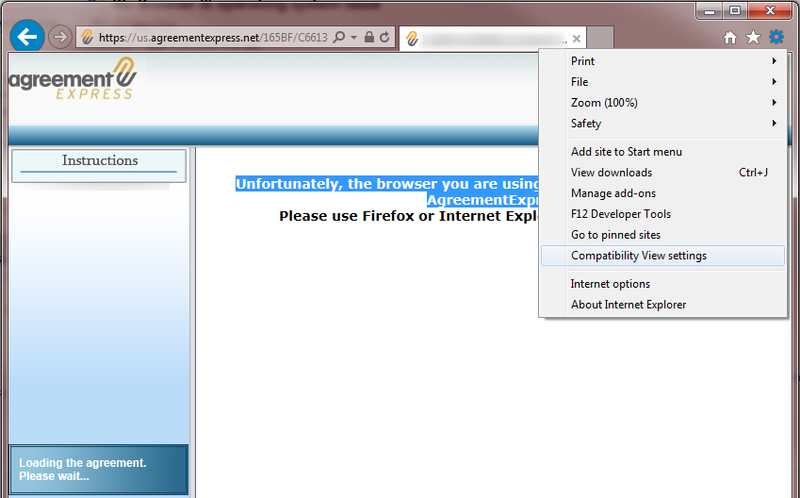 Internet Explorer should then refresh and load the agreement.